Make no mistake, Prometheus is not a “kind of, sort of” Alien prequel – it is is indeed a full-fledged prequel to the 1979 film that both sets up its universe and contains many visual and thematic ties. Fans of the originals will notice key tropes of the series: robots with ambiguously shady goals, Weyland Industries’ (pre-merger with Yutani), ulterior motives, and resilient female leads. Most importantly, Prometheus’ soon to be infamous “surgery pod” sequence seems to be a direct nod to the chestburster in the original. After discovering series of ancient inscriptions (and somehow gleaning interstellar coordinates from a cave painting), scientists Elizabeth Shaw (Noomi Rapace, Sherlock Holmes: A Game of Shadows) and Charlie Holloway (Logan Marshall-Green, Brooklyn’s Finest) convince the Weyland Industries to send an expedition to a planet described in said inscriptions, presumably to find out the origins of life on Earth. Weyland sends the duo along with bigwig Meredith Vickers (Charlize Theron), David the Robot (Michael Fassenbender, A Dangerous Method), a blue-collar ship’s captain (Idris Elba, 28 Weeks Later…) and several other scientists and pilots. Once the crew arrives at this planet, several years after the latest cave drawing discovery, they find a series of alien-made structures. The crew wastes no time in exploring the structures and soon find more than they bargained for, as is the case with this type of movie. The tone of the film quickly shifts from an optimistic space exploration, to that of tension and horror. 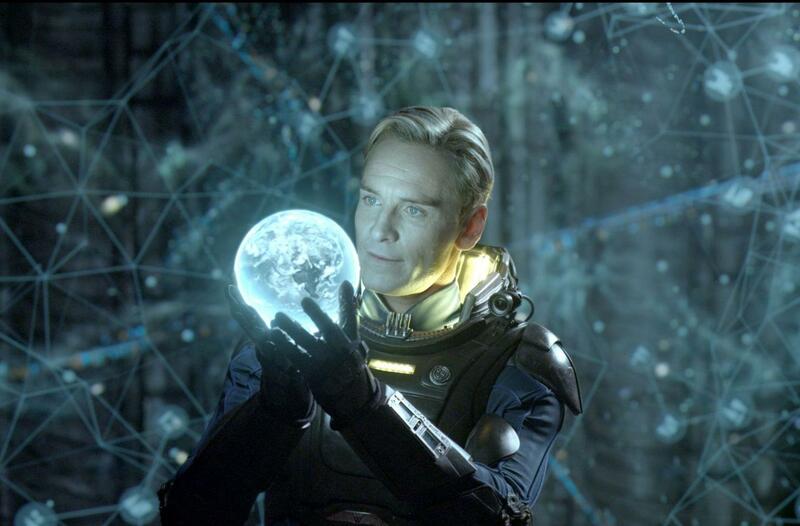 If there is an air of disappointment in the film, the audience shares it with the crew of the Prometheus. So rarely are wonders of the cosmos explored in this film in an inspiring way, and it’s a bit of a letdown as the film devolves into a (suspenseful and artfully done) creature feature. This nihilistic worldview (galaxyview?) is precisely the point, for better or worse. Prometheus was directed by Ridley Scott, who also directed the first Alien. While it may be somewhat of a letdown as a new intellectual property or as a space exploration film, it is a brilliant reboot of a franchise that has been languishing in Predator crossover films. Wisely avoiding the depiction of the Alien xenomorph’s life cycle, Prometheus instead opts to create a new set of threats on the planet LV-223, throwing everything from killer worms to space zombies in the crew’s path. 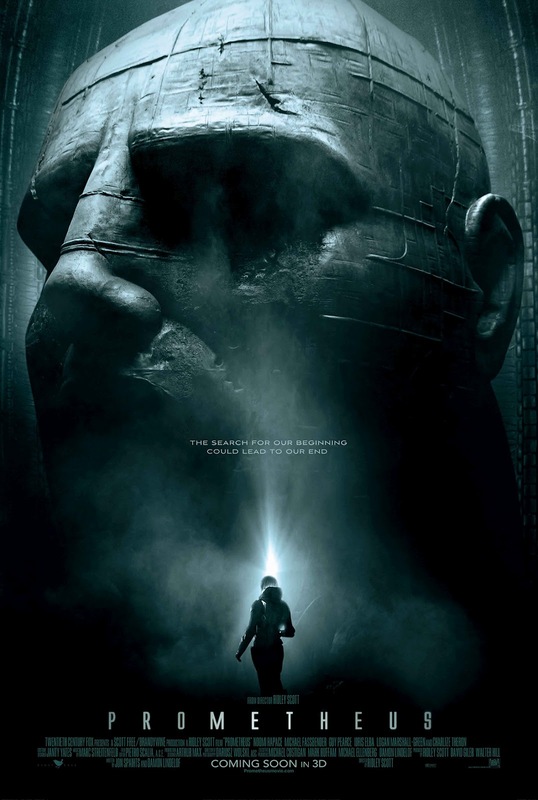 Prometheus was written by Jon Spaihts and Damon Lindelof. Disappointments aside, I suspect Prometheus will hold up well and ranks among the original and its sequel.